The Turku company Abacus Diagnostica Oy has developed a DNA-based laboratory test for the rapid identification of infectious diseases. The DNA-based laboratory testing takes less than ten minutes. The tests do not require specially trained personnel, and identification is faster than culture-based methods. The results are ready in one hour, with less than ten minutes of work required by the laboratory technician. The system can identify, for example, MRSA bacteria. In 2012, Abacus Diagnostica’s identification system for hospital-acquired bacteria was the winner in the ‘Life Science’ category of the European Venture Contest. In 2014, the company won a tender from the Karolinska University in Stockholm, Sweden. At the moment, Abacus Diagnostica’s markets are in Europe. The company is currently seeking new partners to support its aim of conquering the US markets. “We are still targeting entry into the Canadian market. We will probably secure sales figures in Russia and four South American countries this year,” says the company’s CEO, Tom Palenius. Finnish startup Spinnova has developed the first technology which can be used to manufacture yarn directly from wood fibres without chemical processing. Janne Poranen, CEO and Co-Founder of Spinnova pictured. The textile industry is dominated by synthetic fibres and cotton, neither which can boast their green credentials. Finnish startup Spinnova aims to change this with a new chemical-free fibre yarn production technology. Cost-effective and sustainable production, natural material… the list goes on when Janne Poranen, CEO and Co-Founder of Spinnova, talks about the fibre yarn technology developed by his company. In other words, Spinnova’s patented technology turns wood fibres directly into yarn and the chemical processing needed in traditional textile fibre production methods can be left out. This not only improves cost efficiency but makes the process kinder to the environment. Furthermore the use of water and raw materials and their recyclability are enhanced. Spinnova’s fibre yarn technology is only entering the product development phase, but has received a welcoming response both from potential clients and investors. The company, established in January, has already raised 1.95 million euros in funding and in February it won the international biorefinery competition organised by the Finnish Ministry of Employment and the Economy. The panel of judges described Spinnova’s innovation as a breakthrough technology that can revolutionise both the textile and forest industries, and create significant new business in the future. The innovation originates from the Technical Research Centre of Finland VTT, where the technology was first developed. Poranen used to work in the pulp and paper sector research at VTT, but a year ago he decided he wanted to speed up the development of the fibre yarn technology. After convincing the ‘father’ of the technology, Juha Salmela, to start a company with him, Spinnova was born. “VTT has a strategic goal to generate new companies and business out of the technologies developed there. In practice, VTT has a subsidiary ‘VTT Ventures’ which manages process related to spin-off companies,” Poranen explains. In addition to VTT Ventures, Spinnova’s shareholders include Austrian textile fibre manufacturer Lenzig AG, investment company Besodos and a group of private investors, including former Nokia CTO Yrjö Neuvo. Currently Spinnova has a five member team working to take the fibre yarn technology from laboratory to larger scale industrial production. Considering the size of global textile industry (estimated to reach the value of $1.557 billion in 2015), it’s not surprising Spinnova has clear international ambitions from the start. Large textile corporations are an obvious target group, but Poranen believes the technology has plenty of applications also for small, specialised companies. He notes in particular the potential of creating a textile material which is entirely recyclable. De forma a transmitir todos os aspetos relacionados com as atividades do Comércio Internacional, a ICC Portugal organiza uma nova edição do Curso de Comércio Internacional, de forma a garantir a total compreensão dos diversos temas que surgem, ou podem surgir, numa transação além-fronteiras. Como tal, este Curso irá abordar 8 áreas muito importantes nas transações internacionais, como os tipos de transporte, a certificação de qualidade, os procedimentos aduaneiros, a redação de contratos, os Incoterms®2010, as práticas de seguros e as bancárias. Para tal, contamos com 8 formadores especializados nas várias áreas para transmitir os seus conhecimentos e experiências. DESTINATÁRIOS: Exportadores, importadores e todos os envolvidos em transações de comércio internacional. Para mais informações contacte-nos através de geral@icc-portugal.com ou . 720 DEGREES Tomas Novotny (left) and Rick Aller say that, in future, the company’s goal is to measure and analyse all work space aspects that have an impact on people and their health. The Finnish startup 720 Degrees has set out to tackle problems in indoor environmental quality at workplaces, which have a direct impact on the well-being of employees and thus their performance. The objective is to collect and analyze data based on which companies can carry out investments to improve the workspace. The CEO of 720 Degrees, Tomas Novotny, had a company in his home country, the Czech Republic, which offered various indoor air solutions to people with allergies or asthma. Some of these customers contacted Novotny later to ask if the company could also convince their employers that improving indoor air at workplaces is a win-win situation: it makes employees feel better and company gains productivity. After starting his studies at Aalto University in Finland, Novotny continued to reflect on the theme with his fellow students: How to convince companies that it pays off to develop the workplace indoor environment. Eventually, a company named 720 Degrees was established around the idea in 2012. “We realised along the way that workplaces do not pose challenges only to people with asthma or allergies. A number of factors in the indoor environment impact each and every employee’s well-being and performance,” explains Novotny. 7 20 Degrees offers indoor environmental quality monitoring services. A measuring device is installed at the workplace with sensors that monitor the environment. The measurement results are transmitted to a system that can be monitored by the company management or the building owners. In addition, the same data is transmitted to tablets found in the communal workplace areas. They allow the employees to monitor the results while also giving feedback based on their own observations, such as fatigue or dry eyes. The 720 Degrees tool provides real time information on indoor air quality. (Photo: 720 Degrees). “We haven’t come across a similar service that combines continuous indoor space monitoring with psychosocial feedback from employees. There are many companies specialising in indoor air measurementss but traditionally they only focus on chemical problems in the indoor air. Our service helps to exclude these problems if needed and to look at other aspects in order to identify the reasons behind the employees’ well-being issues,” says the company’s Chief Operating Officer Rick Aller. Aller points out that 720 Degrees always performs its indoor environment measurements according to customers’ needs. Some are interested in indoor air quality, others in, for example, noise levels. In practice, the company thus offers a single tool that can be used to measure a variety of factors. According to the company, the service has sparked a lot of interest. In addition to Finland, it has customers in the Czech Republic and the first pilot projects are starting up in Sweden. “We have also carried out market research in China and the United States. The latter seems a highly potential market for us, as it faces similar challenges as Finland does,” says Aller. 720 Degrees sells its services directly to businesses, but sometimes also to building owners. Direct sales to corporate customers is a more logical approach, as companies bear their personnel costs themselves, unlike building owners who do not have a budget for the employees of the companies that occupy their premises. Thanks to 720 Degrees, companies can focus on the right challenges and thus invest in the well-being of their employees, which has a direct impact on performance. 720 Degrees operates in the GE Health Innovation Village, home to a number of healthcare sector startups, located in Vallila, Helsinki. “Thi s ecosystem brings us a myriad of advantages. GE Healthcare offers visibility and assistance to the startups that operate in the village. The company was already our customer, which is one reason why we moved here,” says Aller. Nesta formação vamos contextualizar a presença nas Redes Sociais no âmbito da estratégia de Marketing Digital da Empresa. Dois erros importantes a evitar na Estratégia de Marketing Digital de uma empresa: Descurar a actualização do Website e concentrar todos os esforços de Comunicação apenas no Facebook. Pequenas e médias empresas, Responsáveis de Marketing, Comunicação e Relações Públicas, Agências de Publicidade e Comunicação, Estudantes que pretendam complementar os seus conhecimentos. Esta sessão realiza-se na sede da Câmara de Comércio, no dia 18 de Junho, das 9h00 às 18h00. Para reservar o seu lugar basta preencher e submeter o formulário. Posteriormente deverá proceder ao pagamento por cheque à ordem de “Câmara de Comércio e Indústria Portuguesa” ou transferência bancária para: Montepio Geral – NIB 0036 0000 99104384243 15. A inscrição na acção considera-se efectiva com a confirmação do registo, por escrito. O valor da inscrição deverá ser liquidado antes da data do evento e o comprovativo enviado por e-mail para formacao@ccip.pt. Consultar a política de cancelamento. Para mais esclarecimentos contacte o departamento de formação através do e-mail formacao@ccip.pt ou do telefone . Optofidelity “Out of the ten largest mobile phone companies, eight are our customers and have purchased our testing technology inside the past two years,” says Pertti Aimonen, CEO of Optofidelity. Do you own a touchscreen device? Chances are it has been tested by Finnish human simulator robots. Imagine a robotic arm shaking and rotating a smartphone and using it with mechanical fingers to simulate how a real person would use their phone. Machine vision monitors the screen while several sensors measure accuracy and response times of the user interface. This is what a typical testing system looks like at Finnish technology company Optofidelity. Since 2005 the Tampere-based company has been providing some of the biggest handset, computer and car manufacturers with lifelike user experience and performance testing. In fact, Optofidelity is one of the global leaders (or the leader, if you ask the company) in robotic user interface testing systems for touch devices. Optofidelity’s technology detects audio, visual and haptic events. It can be used for example to test how device performance changes during different product development phases as well as to expose potentially costly faults before devices end up in the hands of consumers. While Optofidelity cannot reveal much about its clientele, it can name one: China Mobile, the world’s largest mobile operator. Not bad for a company which in the past 18 months has grown from 21 employees to over 50 and opened its first office abroad in Silicon Valley, California. The secret of Optofidelity’s success lies in a unique combination of machine vision, robotics and cognitive measurement software. This helps to speed up customers’ R&D processes as the automated test system can be used throughout the product development phase to simulate real-life user experiences. Unlike people, robots won’t get tired or slow even if tests are repeated for hours on end. When Optofidelity first started, it focused on R&D consulting and customer specific testing, which it still offers for its home market in Finland. But the company soon realised that to conquer global markets it needed to translate its expertise into products. Consequently Optofidelity’s first robotics testing system was introduced internationally in 2010. Today the company has a test robot concept for any touch enabled device, be it a small wearable with curved display or a huge touch wall. The change of direction has payed off. Last year alone, Optofidelity saw its turnover to grow by more than 60 percent. Around 80 percent of the company’s products are exported, mainly to the US and Asia, and used throughout the electronics industry from component manufacturers to operators. “Nobody else offers the same combination where you can integrate, for example, component validation and performance measurements into the same system. The versatility of our products is a major advantage,” Aimonen says. The fast changing world of technology means Optofidelity is never standing still. It invests heavily in adapting its technology to the latest testing trends, whether it is curved displays, 3D imaging, gesture control or communication between devices, such as a smartphone and a smart watch. And we aren’t only talking about phones and tablets. The latest addition to Optofidelity’s customer base is the automotive industry.Car dashboards today not only have touchscreens, but can have gesture and voice control or offer advanced integration with smartphones. It all starts to sound more like science fiction than the real world. It looks like Optofidelity’s robots won’t be booking their holidays anytime soon. 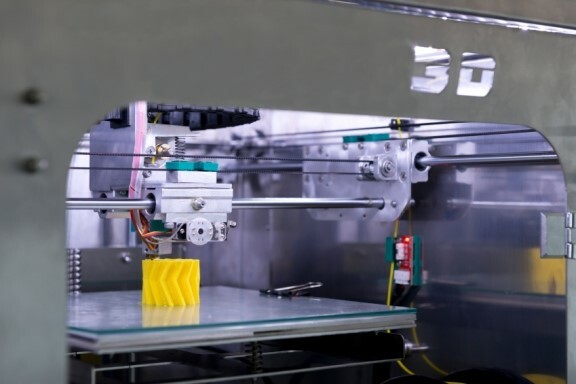 Media often shows potential uses for 3D printing in the home of the future, but many industries have already adopted the technology. Computer Aided Design changed how we design things and 3D printing changed how we make them. The Finnish company Hetitec has combined the two for an innovative service. Ville Moilanen is living in the future, at least according to these articles he is talking about. He is the CEO of the Valkeakoski-based Hetitec, a specialist in on-demand 3D printing. 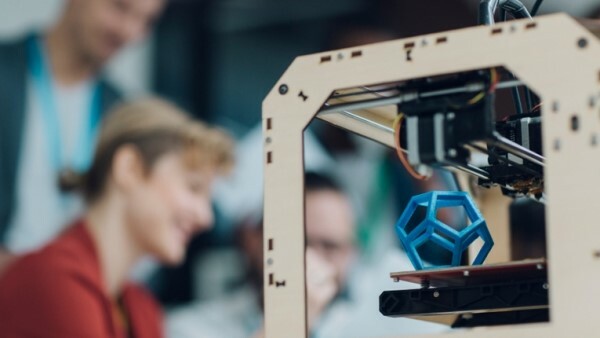 Popular media often shows potential uses for 3D printing in the home of the future, but many industries have already adopted the technology. Hetitec primarily helps to manufacture complicated moulds and cores for metal foundries. The mould is 3D printed directly from Computer Aided Design (CAD) data, so the elaborate and expensive mould set-up process is avoided. The process is faster and less expensive than traditional methods of manufacturing. It is also adaptable, because if there is a problem with the design of a part only the CAD data needs to be changed. If the designer wants to try several variations, it is simple to change the data and manufacture different versions. Since it is all stored digitally companies don’t even need to store physical models like they used to do. Hetitec has enjoyed good growth since it was founded in the spring of 2013. Moilanen also points out that the geographical location of Finland has helped the company. Although Hetitec primarily serves specialised industries, the technology is such that it could be used for a variety of applications. “We have end customers that are producing forestry machines, shoes, supercars, packaging for fish and even garden elves,” says Ville Moilanen, CEO of Hetitec. He mentions that artists could 3D print large works of art, but probably the early adopters will be in various branches of industry.